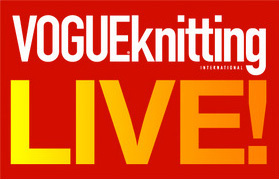 Nerd Girl Yarns is heading to the Windy City November 1-3 for Vogue Knitting Live! We will be bringing all the new Fall colorways, some colors you cannot get online, and plenty of favorites. Stop by the booth in the marketplace and touch the newest addition to the NGY lineup in person, Winning (silk + linen = winning! ).